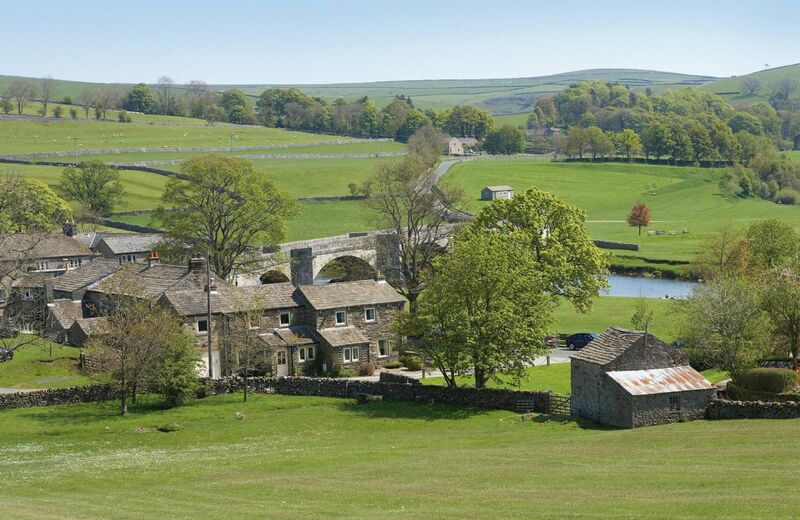 It’s no surprise that Yorkshire has provided the perfect backdrop for so many film sets. It’s for that very reason that Bradford has recently been honoured with the title of the world's first UNESCO City of Film. Twinned with many museums and art galleries, Yorkshire is unsurprisingly a hub for unique culture. What better way to explore than from the comfort of a self-catering holiday cottage. With three National Parks and three areas of Outstanding Natural Beauty, Yorkshire is a wonderful retreat for outdoor explorers and thrill seekers alike. Not to mention the Pennines and a stunning coastline. There is certainly no shortage of wonderful places and spaces. Yorkshire's heritage encompasses ancient ruins and a legacy of mills and mines, all present in the surrounding architecture. It’s not all about the outdoors though! Treat yourself to a day in one of the many spas, indoor attractions or retail spaces as you explore all that Yorkshire has to offer. The area’s bustling cities of York, Leeds, Bradford, and Sheffield among others deliver a fabulous mix of fashion, fun and mouth-watering food. Yorkshire also offers a whole world of sport for you to enjoy. Not only passionate about rugby, football and cricket but horse racing, snooker and golf too. Whether you want to watch sport, or experience something new, Yorkshire is the perfect place. Those looking to keep busy can take advantage of the many free national attractions. Take your pick from the National Railway Museum, the National Media Museum or even the Royal Armouries Museum, all situated in and around the area. Whatever you decide to do, you’re sure to find your stay an incredibly enjoyable one. 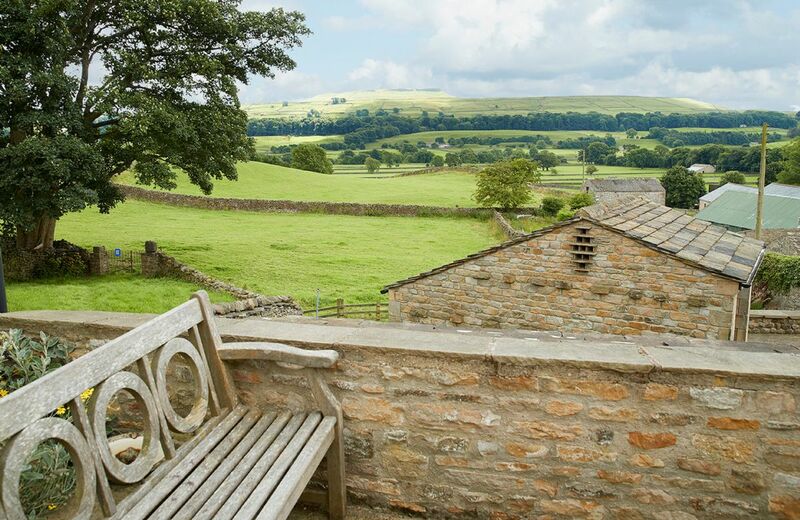 Now you can choose a relaxing holiday cottage in Yorkshire to act as your home for the stay and to relax in after a busy day out seeing the sights! Fabulous cottage with everything you need for a perfect weekend. Great hamper with a delicious homemade ginger cake,and the dogs loved their treats. Lovely cottage. and great welcome hamper. 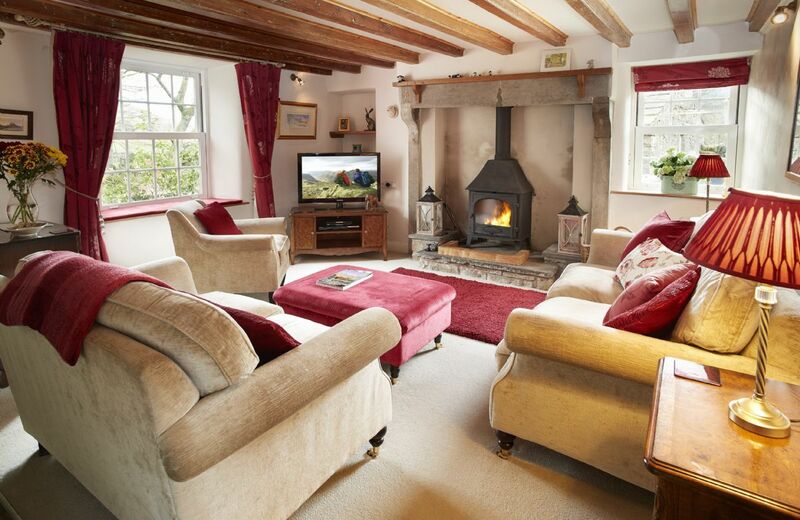 Lovely cottage, ideal for walking in the Dales. Thank you for your lovely feedback. I am delighted to tell you that Wifi is now available at The Barn. 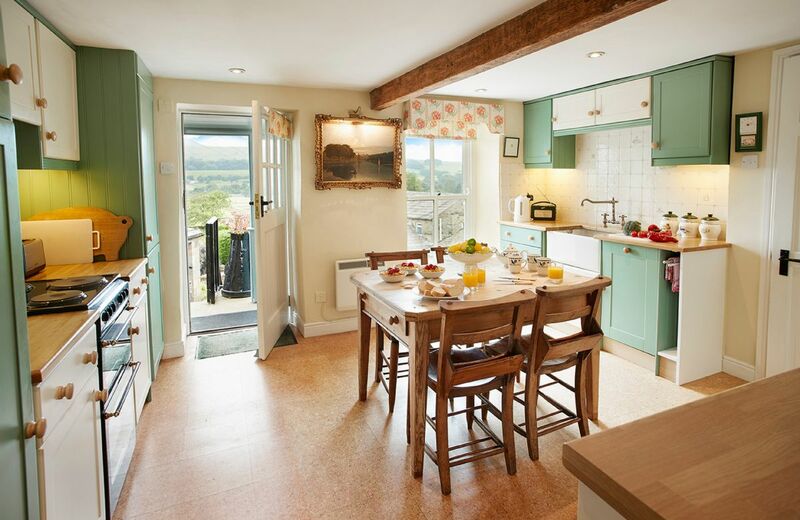 Perfect cottage for a couple in a lovely part of the Dales. Great walking, great pubs and the Tour de Yorkshire passing the front door. Lovely cottage. Lovely welcome hamper. Excellent property with great facilities and hamper on arrival was a lovely touch and saved us having to go shopping ! Due to the weather being so bad we couldn’t venture out far so enjoyed a thoroughly relaxing time reading and watching tv in front of the open fire. Just what we needed. Thank you. Very good cottage, with good facilities on the whole, although a minor gripe , we would have liked darker blinds or curtains for the bedroom,as the light coming through did disturb our sleep, but otherwise very good , welcome pack was very good , cottage facilities very good., although the sofas were a bit small and not particularly comfortable. Lovely cottage but not ideal if you have a large dog as there is no garden to let them out into. Not a negative, we were just late booking so our choices were limited. Cottage was very small, the bathroom was so small as almost to be un-usable. It was tired - bathroom and kitchen have seen better days and could do with replacing. The back patio could do with a pressure wash to clean it up a bit. The 'star' light at the top of the stairs was really dirty (although I don't know how you can get up to clean it??). Views were lovely, local pub was good, but I've been to much better RR cottages in the past. Maybe time for a makeover for Barn Cottage? Thank you for your review. We are extremely sorry that you were not happy with Barn Cottage and we have forwarded your comments to the owner. When we arrived it was chilly outside but the heating was on so it was warm and snug inside. Everything was spotless inside and so comfortable. The little touches of asking what wine we would prefer, biscuits for the dog and a lemon on the chopping board (they knew my wife preferred gin to wine) were incredible and so touching. As for the lovely hamper of food! It was superb! The cottage was well appointed, comfortable and very clean. The location was excellent and we loved the views from the living room windows. Everything had been thought about and we really enjoyed our stay. The extra touches of flowers, fruit and hamper were lovely! very comfortable, cosy cottage. Perfect for our weekend. Especially given the short notice, the cottage was ready and stocked up with a wide range of high end groceries. We accidentally left a phone behind and the housekeeper arranged for this to be returned on a next day service. She went above and beyond what was expected. Cottage lovely. Fantastic hamper. Everywhere spotless. Housekeeper kept in touch. 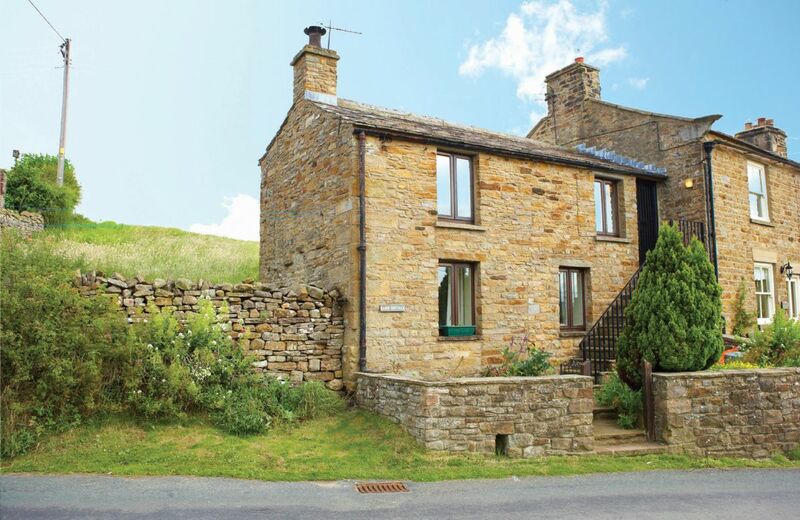 This cosy cottage in the middle of the village of Carlton-in-Coverdale has stunning views over Coverdale. 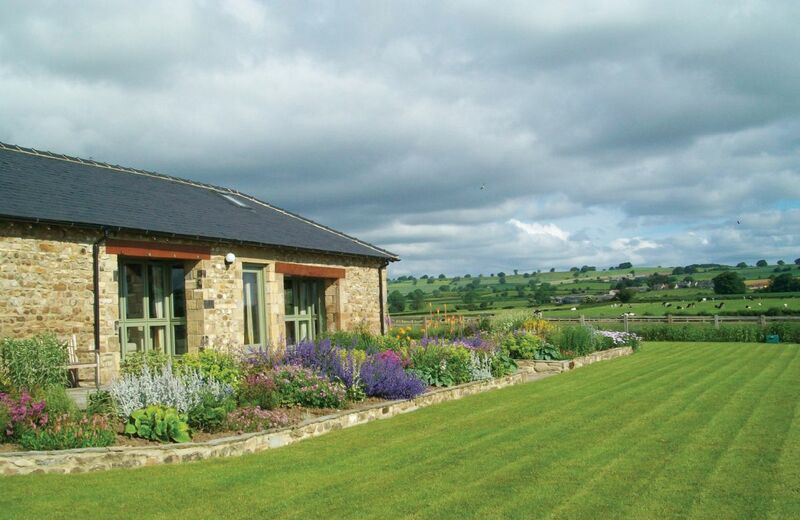 The location is ideal for walking in neighbouring Wharfedale and Wensleydale and touring in the Yorkshire Dales National Park. For holidays taken between 27 April 2019 And 31 May 2019 Minimum of 3 nights booking. Cottage was really lovely, but it needed a few refinements. One of these was a towel rail in the downstairs toilet. There was a washbasin, but no towel or towel rail, so we had to put a towel on the windowsill. A couple of small occasional tables in the lounge would be nice, so you have somewhere to put a glass or cup when you are sitting on the sofa's having a drink. We had to use two dining chairs with a place mat on them to put our glass's down, or the only other option was the floor. We think the mattress on the double bed, might need replacing, as we both suffered from aching backs by the end of our stay. The cooker and hob, were quite complicated to work out, as you couldn't just turn them on and they worked. We referred to the instruction book and got there in the end, but even that wasn't straightforward. Despite the above minor criticisms, we thoroughly enjoyed our stay and Catherine, the owner was very approachable and friendly. The food hamper provided was very much appreciated and very comprehensive, which we didn't expect. The location was good for visiting many places, like Thirsk, Ripon, Harrogate etc and we would recommend the place to our friends and relatives. Lovely lodge. Nice and spacious. Unfortunately let down by the track to the property as it was basically one big pot hole. Thank you for your feedback and I am delighted that you were so pleased with the lodge. My apologies for the state of the track - so many tracks and lanes have suffered through the dreadful weather that we have had. The owners of Keepers Lodge are set to take action to put it right. Thank you for your lovely feedback. I am delighted that you had an enjoyable stay at Keepers Lodge. Unfortunately with the dreadful weather that we have been having drives and lanes have been suffering accordingly. Great place to stay. A little difficult to get hold of the owner to arrange pick up of the keys as she had a particularly busy week at home. Would stay again. home from home. absolutely gorgeous. just needs some drawers in the single bedroom and maybe a coffee table or some small end tables for drinks, maybe a side light for softer mood lighting as over head lights give me a headache. luxury 5*. truly loved it. the drive in is poor though and needs a sign. Didn't really see the housekeeper so felt it lacked the personal touch and the garden was not checked as dog poo was left by previous occupier. Other than that excellent, clean and spacious accommodation in a beautiful rural location. So close to 5 stars! Amazing place everything you could possibly need Catherine has thought of everything. Thank you so much! The dog Rex had a great time too! Would definitely recommend and return. Wow. What lovely feedback for Keepers Lodge. We are delighted that you and Rex had a wonderful holiday. The property itself was excellent. Clean, beautifully spacious and in full working order. A really lovely property. We were a little surprised at how close the property is to the owners home. The property has large, bi-fold doors which are fantastic but actually the property looks into the owners property. This didn't spoil our holiday at all but we didn't get any feeling of the position of the property from the property details. Might have been nice to see housekeeper - we felt we lacked the 'local knowledge' touch. 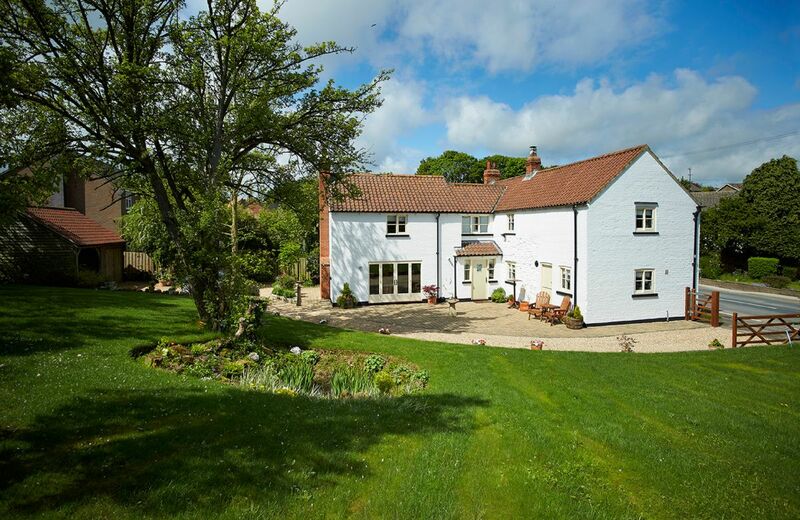 Stay at this newly converted cottage in a peaceful rural spot only a short five minute drive from Thirsk. 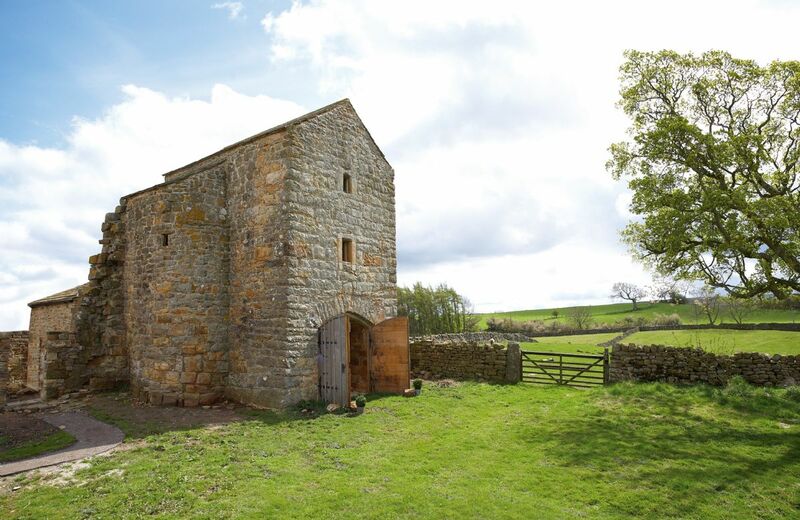 Keeper’s Lodge is the perfect base to explore North Yorkshire’s sweeping moorlands, scenic villages and popular market towns. It was a lovely home with much attention to detail. Support was great when we had a small issue with an appliance. Quietly positioned and central location. The only downside is that the home only has 1 bathroom, which is not ideal for 4 guests. Very warm welcome, wonderful interior, excellent hamper. 18 Castlegate is the perfect retreat from everyday life. From the minute you step in the door its peacefulness and comfort wraps around you. Everything you could possibly need is provided, along with a very generous hamper of local foods and beautiful flowers indoors and outside in the pretty walled garden. Kirkbymoorside itself is a friendly and interesting place and there is loads to see and do in the area. The amazing feedback for 18 Castlegate continues. Thank you so much for leaving yours. Superb cottage kept us very snug and excellent for visiting the surrounding area. I would definitely recommend. The house was fantastic far better than we thought it might be. It had everything we needed for our short stay and was in a great location. The welcome hamper was a nice surprise and fully of delicious treats. The house has been very well finished and is a lot bigger than it looks from the front, it was ideal for our party of 4 adults. I would highly recommend this property and it’s hostes, we will be back that’s for sure. Lovely part of the world as well! 18 Castlegate is quite simply the most comfortable, tasteful, welcoming and perfect holiday getaway imaginable. We spent a fabulous long weekend there, 3 ladies of a ‘certain age’, celebrating a special birthday. The Cottage was the icing on the cake. I need to return with my husband now to sample the delights all over again. Lizzy the owner has thought of everything and as a holiday Cottage owner myself I’m particularly fussy! Wow, a fabulous review for our stunning property 18 Castlegate. Thank you so much for your lovely words. What perfect concise feedback - thank you so much. The cottage is beautifully furnished and comfortable. The garden is truly enclosed which when travelling with a Terrier is so important. Another great review for 18 Castlegate. Thank you so much. One of the best Rural Retreats Cottages we have stayed in, especially in respect of cleanliness, comfort and kitchen equipment. Beautifully kept, neat little cottage. Perfect for us and our dog. The little garden was a sun trap. Excellect ++. The best turned out cottage we've stayed at in 20 years. Lizzie made so many personal touches, we were blown away. Cottage beautiful and immaculate. The food hamper was amazing with good quality local products and even some dog treats - really appreciated. First class bed and bed linen - again much appreciated. Absolutely beautifully designed and perfectly equipped cottage. The book selection is excellent. Our family had a perfect break in this little gem. Beautifully appointed and very friendly communication. The most comfortable, thoughtfully presented cottage we have ever stayed in. The owner has wonderful taste and we truly felt at home. The beds were very comfortable, the hot water and heating worked like a dream and everything was spotlessl. Kirkbymoorside is a very friendly town and we can't wait to return. 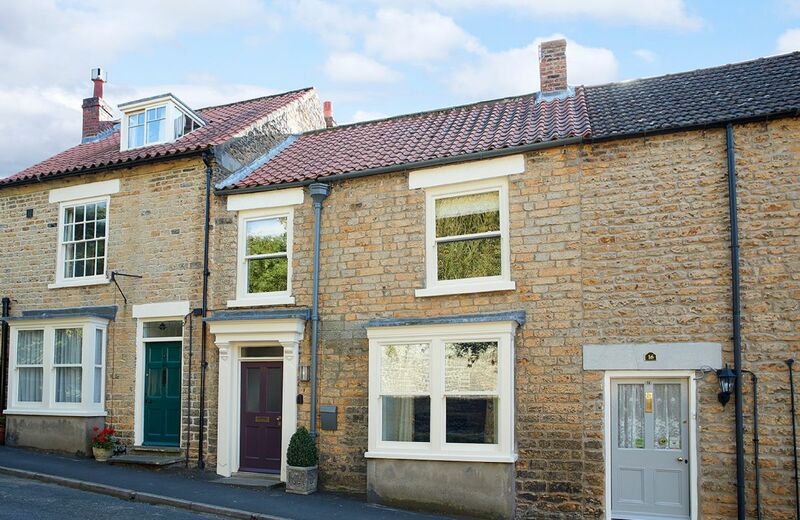 Situated on a quiet street in the historic market town of Kirkbymoorside, 18 Castegate is a lovingly restored mid terraced period house. A market centre for over 750 years and mentioned in the Domesday Book, Kirkbymoorside is well served with local produce markets, specialist independent shops and traditional inns. Good location for many tourist attractions and hiking routes, yet quaint country town. Accommodations clean, neat and nothing more you could ask for. We truly enjoyed our eeek there. Superb, lovely little cottage immaculately decorated and furnished, best "welcome hamper" ever received. Proximity to Red Lion is a big bonus too!! Beds sooooo comfortable we were in bed early and stayed till late. Tip, don't park your car under the tree as recommended if it's stormy as I now have to have the dent removed where a branch fell!! Property so well situated. Also. outstandingly furnished for comfort and very well supplied with equipment. Kitchen of note! Welcome hamper very generous and tastefully chosen. This is something that needs to be checked on a regular basis. Was everything we expected it to be. Disappointing food hamper- why do these vary in quality so much from place to place? We were so happy with the facilities and cleanliness of the cottage. Only complaints: TV did not work in the main bedroom (Natasha said it has given problems for a while) and it was impossible to get a dvd to play on the TV in the living room, and this was disappointing. Natasha could not help there, although so very obliging. Holiday Cottage was excellent, very clean, cosy and well provisioned. The welcome hamper was very generous and full of lovely treats! The housekeeper was very friendly and gave clear instructions to the cottage. Only minor comment was the master bedroom tv was slaved to the sitting room tv. This was an excellent cottage very well equipped and comfortable. The village, with its outstanding pub, was attractive and convenient to visit other places of interest or walk in the immediate area. The only thing missing was the local shop which had closed two weeks before we arrived. (Sorry there isn't a" Very Good" category) . Good cottage- upstairs especially was spacious and very well presented, with smart, new bathrooms. . We would have liked more towels in the bathrooms. Comfortable beds and excellent cupboard and drawer space.
. The living room felt cluttered with too much furniture. But the house was spotlessly clean and well equipped and provided with everything we could have needed. And a vase of beautiful lilies. Lovely village. No garden, but no need for one, as large expanse of grass with benches along the riverside. Very convenient to have the field space for parking. Great location- and wonderful weather. Another good Rural Retreats holiday. This fine cottage is on the edge of the village of Burnsall, arguably the prettiest village in Wharfedale. It enjoys views of the adjacent beck and fell beyond and is perfectly situated for exploring the Dales and their many attractions. For holidays taken between 12 April 2019 And 27 May 2019 Minimum of 3 nights booking. Comfortable, well equipped cottage with a delightful garden. Attention to detail evident. The cottage was extremely well appointed, the owner had taken a lot of care to make sure every little thing we would need was provided. Beautiful garden and house decor. Helpful friendly owner. The images do not do it justice. Lovely decorated rooms with nice furniture. The kitchens and bathrooms were well stocked and the garden was absolutely beautiful! Great location, right next to a nice village pub. Our contact for the cottage, Jo, was really helpful. Well organised welcome. Great cottage, nice area, good weather! Cottage was really comfortable and well looked after, Jo housekeeper very helpful and excellent location. Great pub next door with good food and reasonable priced. This cottage is fabulous. The owner, Jo has made sure that everything you need is provided. The welcome basket is truly wonderful. 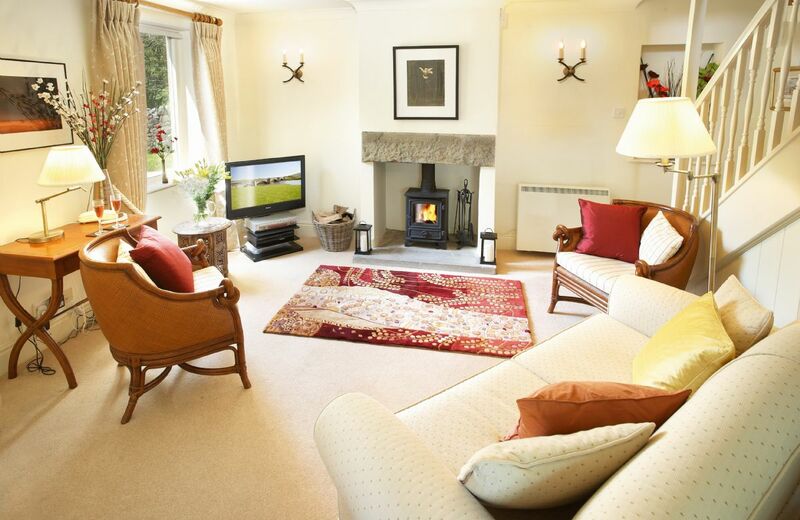 The cottage is situated in a idyllic peaceful little village. 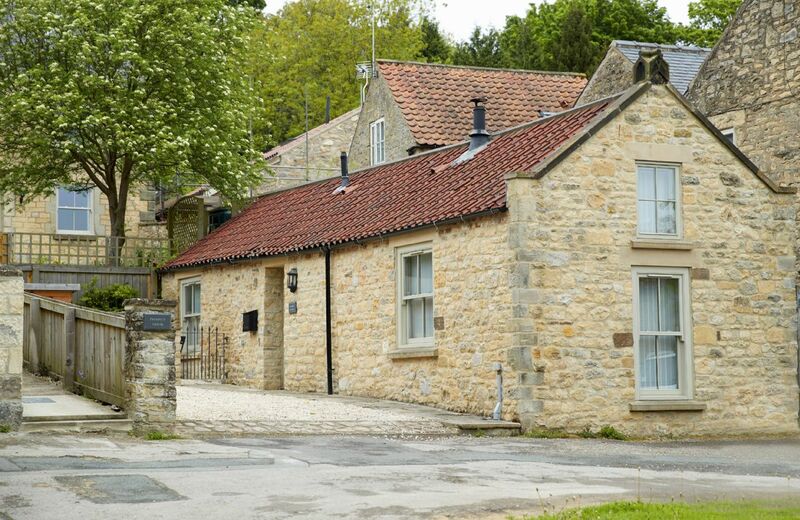 Great base to explore the North York Moors. Cannot say enough about this lovely cottage. Gold star recommendation from our family! What wonderful feedback for lovely Heather Cottage. Thank you so much. Schoon en goed uitgerust huis. Uitgebreide welkomstmand. Mooie omgeving. Bedankt voor uw mooie feedback. We zijn verheugd dat u genoten van uw verblijf in Heather Cottage. Excellent holiday cottage in great location. Well equipped, very comfortable and lovely welcome hamper! We're glad you had a lovely time at Heather Cottage. 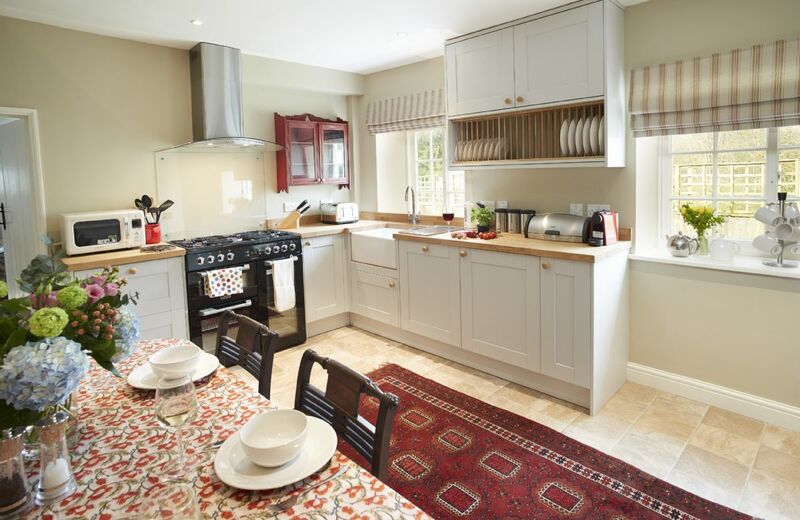 The cottage offers so many lovely things and the owner wants her guests to thoroughly enjoy their time there. Thank you for your recommendation, we look forward to welcoming you back again. Cosy and comfortable for two. Spotlessly clean and well appointed. Loved the fresh flowers on arrival and the well supplied welcome hamper. Heather cottage also has a very pretty garden. Very comfortable cottage. Certain small details (e.g. bigger TV, more powerful shower) might be worth investing in. Housekeeper Jo was very helpful and friendly. We are glad you foundthe cottage comfortable and were made to feel welcome. We appreciate yourfeedback. There is a now a new 32"smart TV at the cottage (as well as good WiFi). The electric shower has also been replaced. We hope to welcome you back to Heather Cottage in the future. Certainly not up to the standard expected of a Rural Retreats property and not worth nearly £500 for two nights there in December. The kitchen floor is filthy all over, but is especially bad near the cooker and sink: it looks like very old grease that has become black with dirt over time. It was freezing in the kitchen and the downstairs toilet, which didn't have a light bulb that worked. Two sections of the toaster didn't work. The bedrooms were very warm (there are storage heaters upstairs) and the beds comfortable. Both had good ensuites (one with a bath, the other with a shower). Water pressure terrible- not great for our guests in the twin room especially. A pump really is needed! Sadly we won't be returning as always look for a dog friendly cottage. The cottage was well equipped and very cosy with the woodburner. A little note from the owner: We are pleased that you found the cottage well equipped and cosy, but sorry you felt the water pressure was unacceptable. Maintaining the character of a country cottage while meeting modern-day demands is always a balancing act. The water flow to all the sinks is normal, the hand-held shower is adequate and a decent bath takes ten minutes or more to run, which may not suit everyone. The water flow in the kitchen has been vastly improved. This cottage is having a trial without dogs but I am sure Rural Retreats look forward to welcoming you to one of their dog-friendly properties in the future. 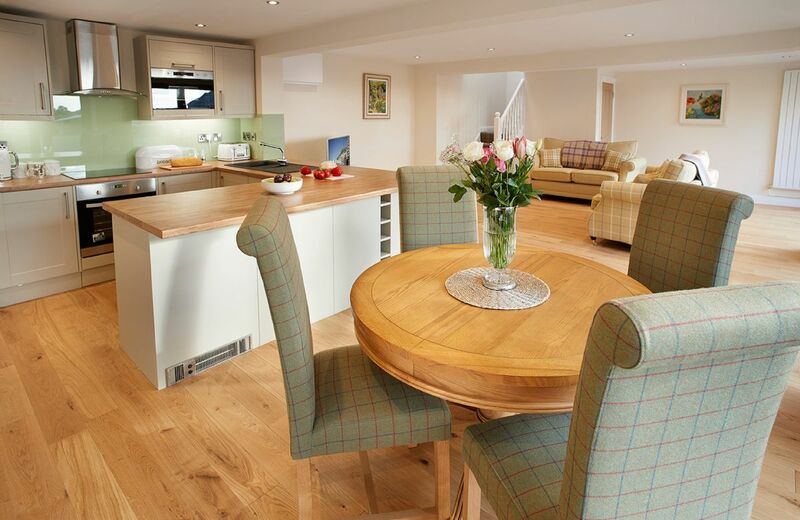 Heather Cottage is a well equipped holiday cottage and was clean and comfortable. However.......the hot water supply to the rear ensuite bath, the front ensuite shower and the kitchen sink was nothing less than disgraceful. It took 20 minutes to run 1" (yes....one inch) of hot water in the bath. Considering the price we paid for this cottage for the weekend I would not book this property again until assured that this problem has been fixed. This is unacceptable and from a previous comment in the visitor book, this problem has been highlighted before....and clearly not addressed. It is not unreasonable to expect a hot bath/shower in November. Thank you for taking the time to review your stay at Heather Cottage. We are sorry to learn the issues you were having with the hot water. I have been in touch with the owner and she explained that the tap in the middle of the bath has to be on the correct setting fully (ie. shower/bath) and then the hot water flow will work as normal. This has been tested this morning by the owner. Regarding the pressure, the owner is looking into options to improve the hot water flow to the kitchen and is also considering fitting in a pump but noise could be an issue. It is a pity that you didn't contact the housekeeper during your stay as this issue could have been resolved. Thank you for your review. I'm sorry that you felt the ground floor of the cottage needs updating. 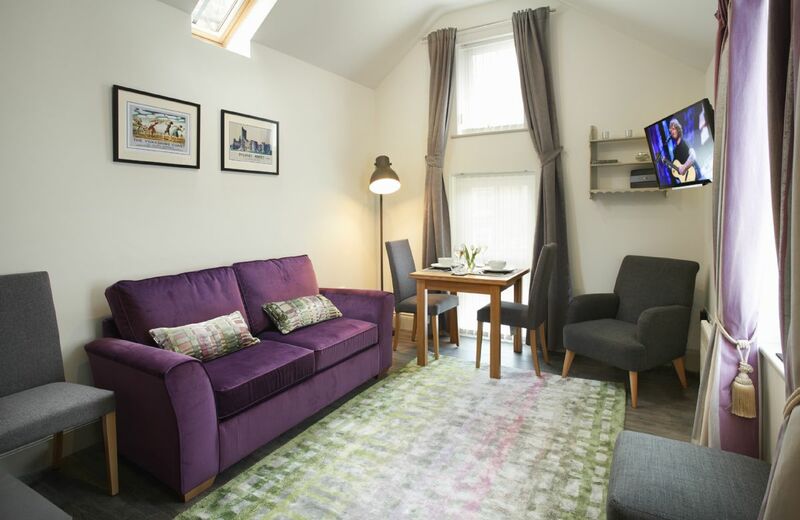 Heather Cottage is cosy and comfortable especially after a long walk in the countryside. 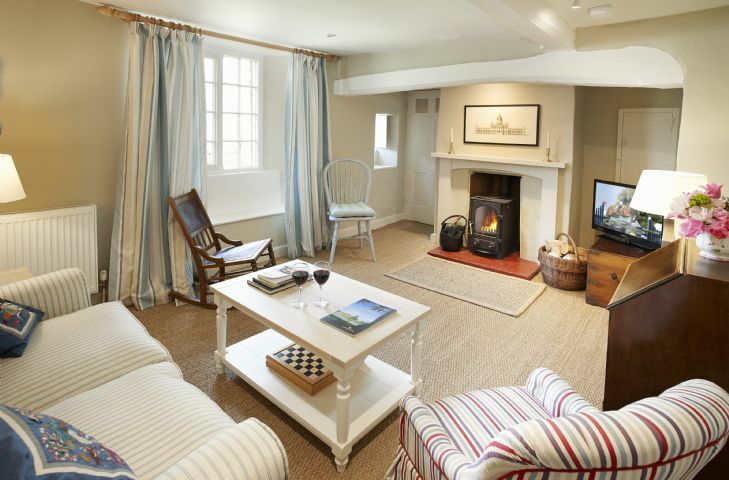 This fine cottage has been lovingly refurbished to keep its charm while offering modern comforts. Situated in the unspoilt village of Gillamoor, it is an excellent base for walking and cycling in the North York Moors National Park. We had a fabulous time at the Librarian's Cottage! It was so charming and the little village delightful. We so appreciated how well stocked it was; the hamper was a welcome to some weary travelers as were the lovely the toiletries. I hope we can return for a longer stay at some point. We did not get to see all of that lovely area or spend nearly enough time enjoying the beautiful Castle Howard. An excellent cottage in its original layout with all the modern conveniences. Perfect for us to experience a quintessential English home with lots of character. Great quiet location close to Castle Howard with lovely neighbours. Some safety issues here. Low beams, I banged my head twice, as did our son. Anyone above 5ft 8in would have a problem. After a week you develop a permanent stoop. Thank you for your feedback. Like so many of our old cottages Librarians does have low beams and we have put this on the web page. Lovely cottage and would 100% go back. Very comfortable and generally well-equipped. But we would have liked a warning about the low beams given that one of us is 6' 3" and kept banging his head. We were also surprised there was no can opener, no water jug, no spare kitchen roll and not enough kindling and fire lighters for the logs that were provided. Needs another proper comfortable chair. Windows don’t open could be a fire risk. Beds very very comfortable. My wife spoke to one of your staff about the fact that the kitchen equipement was deficient, andthe fact that neither bathroom doorf could be locked. Mislead by property description,the garden is shared and not secluded occasional random folk walking their dogs ! Thank you for your review which we were very disappointed to read as all our other guests have loved Librarian's Cottage. The parking spaces at the back of the property are shared with the neighbours however the garden is very much Librarians. The second bedroom now has a 5' zip and link bed which can convert to two single beds. Lovely cottage, beautifully furnished and a fantastic welcome hamper. Love that it is dog friendly and the dog loved the garden with a stream. Whilst it was a lovely cottage we thought some of the kitchen facilities were rather basic. Also could do with a music system of some sort such as a wireless Bose to add a bit of something. 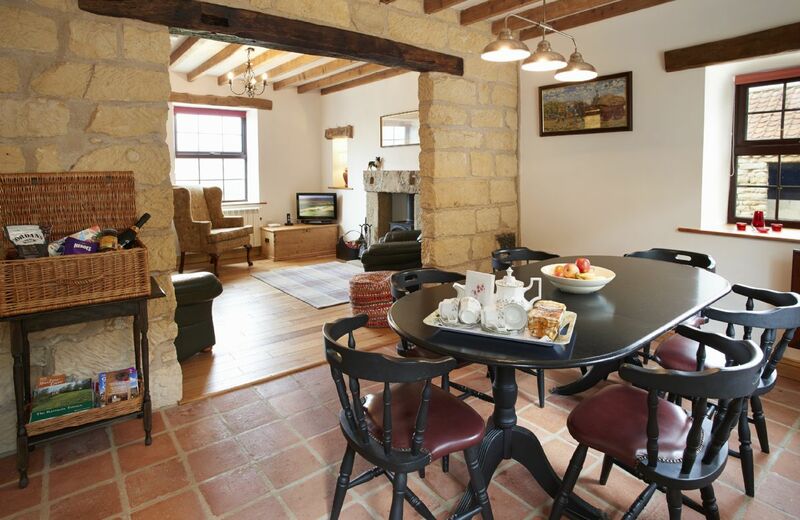 This pretty stone cottage is situated in the Castle Howard Estate village of Coneysthorpe. With two cosy wood burning stoves and furnished with items from Castle Howard itself, and carefully chosen modern furnishings, the cottage is perfectly appointed. A picturesque garden with trickling stream the perfect place to relax after a day exploring the region. Absolutely lovely. Excellent accommodation which was very comfy and had a beautiful view. The location couldn’t be faulted either we would definitely return. Judith prepared a lovely hamper for us and everything was in order when we arrived. The location is fantastic and with the good weather we had a throughly lovely holiday. Would recommend and revisit. We thought it was excellent, would return. Just book it! First impression of the property on arrival was not good due to the approach as all we could see were the rubbish bins but the interior was excellent and housekeeping first class. Property worthy of a second visit. We're sorry you felt the approach was spoiled by the wheelie bins near the cottage, but happy that you enjoyed the cottage and found it clean and presented well. Judith the housekeeper is a true professional. We look forward to welcoming you back again. Avery comfortable cottage with every amenity needed with fabulous views. Good location, clean and comfortable, excellent welcome basket, everything worked. A really pretty property, comfortable and relaxing inside, very well appointed and with a delightful terrace and garden. Suited our family birthday celebrations very well. Loved this beautiful place. The location and the views were stunning. The house was well-appointed with comfortable beds, lovely details, and lots of room. We wish the weather had been warm enough for us to enjoy the outdoor patio and the gorgeous garden. The place is right in the middle of town, yet feels very private. We highly recommend Humble Pie as a great local place to buy food. I went with friends this time, but would love to bring my family back to The Old Dairy. Perfect location. Very well equipped. Lots of space and lovely views. There was lots of information once there too about the local area. Old fashioned charm but with all the mod cons. The Old Dairy is a delightful, stone built cottage standing at the end of a quiet cul de sac near to the main street in Askrigg with spectacular south facing views over Wensleydale and the Yorkshire Dales. Asbsoluty fabulous location . Cottage spotless with all the goodies. Would throughly recommend it our friends. We had a really wonderful week in Galatea. The cottage is spotlessly clean and very well equipped. The situation is amazing and the views are fantastic. Many thanks. Would have been five, however, the heating system was not working fully. Just three radiators hot, two in the hall and the bathroom. The lounge, bedrooms, showeroom and kitchen/dinner were cold. We used the electric heaters for the heating. A beautiful property in a fantastic location, very well equipped, but it was rather cold and damp on arrival and never really warmed up properly. The Lighthouse cottage is a fabulous location - did not disappoint at all for that 'different' cottage location. Breathtaking views and peace and quiet. The cottage itself is also very well equipped and decorated. As on previous occasions the cottage provided a comfortable and peaceful location to be based at. The ideal coastal position without having to get in the car each day! cottage clean,well presented, welcome hamper very good, housekeeper very friendly.Only suggestion Curtains could be thicker or blackout blinds in the bedrooms. Lovely cottage, excellent location, very clean and well stocked. Welcome basket lovely. 3. Most importantly get rid of that horrendous fake fire. Absolutely wonderful! Appart from its stunning location, we were welcomed with an amazing hamper (which was not expected! ), beautiful decor and the whole cottage was spotless. The housekeeper was very friendly and helpful. In fact the only problem was that I couldn't stay a lot longer! We'll definately be visiting again. Thank you. Excellent cottage and a very high standard which is classic Rural Retreats. Perfect in every way. Wonderfully isolated location, well appointed and maintained cottage situated in an outstandingly beautiful area. The holiday cottage was wonderful. The views were amazing. Welcome hamper was a lovely treat. No problem with taxis picking us up and dropping us off in Whitby Centre (only 5 minute ride). Would definitely stay here again. Nice property. Very quiet location. No broadband service (maybe a good thing!). Good walks along coastal path. Clean and comfortable. Kitchen very well equipped. We stayed in Galatea - cottage attached to Whitby lighthouse. A beautiful spot if a little off the beaten track. However there was everything you need for a perfect stay. 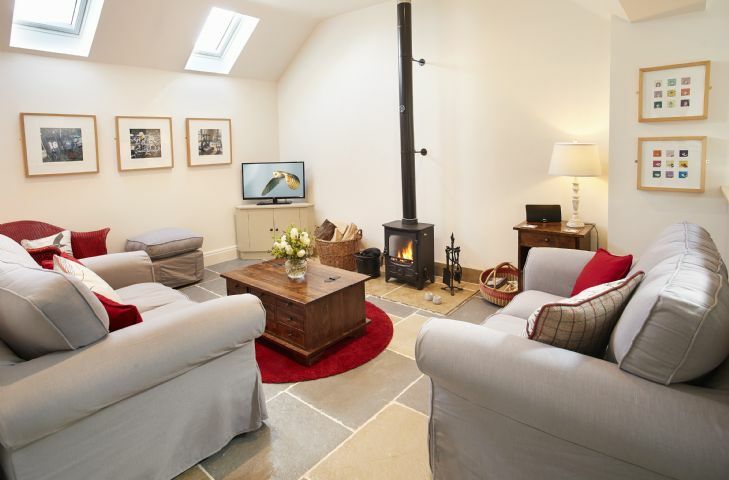 A cosy, comfortable cottage with everything you could ever need. The lighthouse house is in a beautiful location with stunning views. Very peaceful. I would have given 5 * if there was a wifi. Because there's no signal to plan a day ahead was difficult as we could not use the internet to research the area fully. This attractive cottage on the Whitby Lighthouse site has sitting room, kitchen/dining room, double bedroom, twin bedroom, single bedroom, bathroom and shower room. 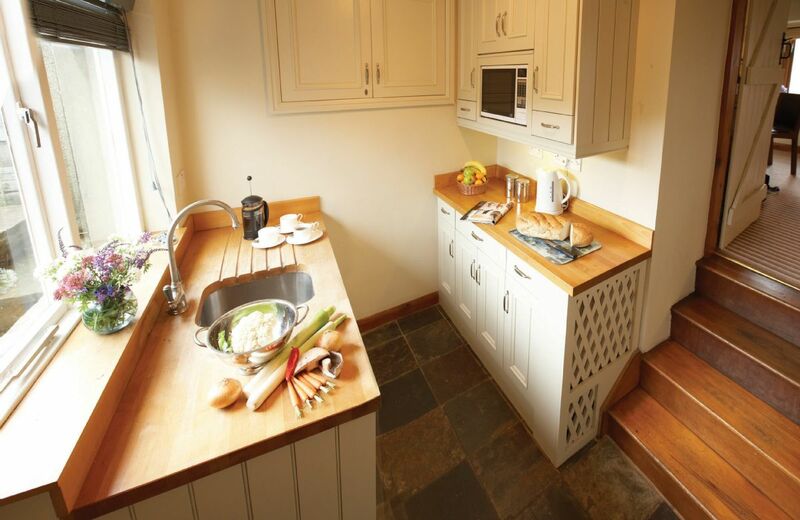 Features include oil central heating, electric woodburner, electric hob and oven. Excellent cottage in a stunning location. The cottage was lovely and clean with outstanding views. However the garden was a sun trap and no parasol was provided even upon request in an extreme heatwave. The garden is also not dog friendly as it is all stones not a blade of grass in sight. We did not realise the unmade road leading up to the cottage was so long and became tiresome after a few days. Threp'nybit Cottage is situated in a high valley which is frequently very windy and normally too gusty to use a parasol. This year's weather nice though it is, is not normal. The owners have since bought a larger heavier parasol which they hope will do the trick. There is no grass, as shown on the website photos, it is too remote to maintain a garden. There is however a large paved patio at the front of the cottage which is indeed a wonderful suntrap. The road to the cottage is a council road, the cottage is advertised as remote, therefore needing a substantial drive from civilisation to achieve this! Excellent location - feels very remote, and is in a beautiful spot, with a lovely panoramic view. There is much to see in the area, but also wonderful walks from the doorstep. Amazing! Well thought out delightful cottage. The hamper was perfect!! 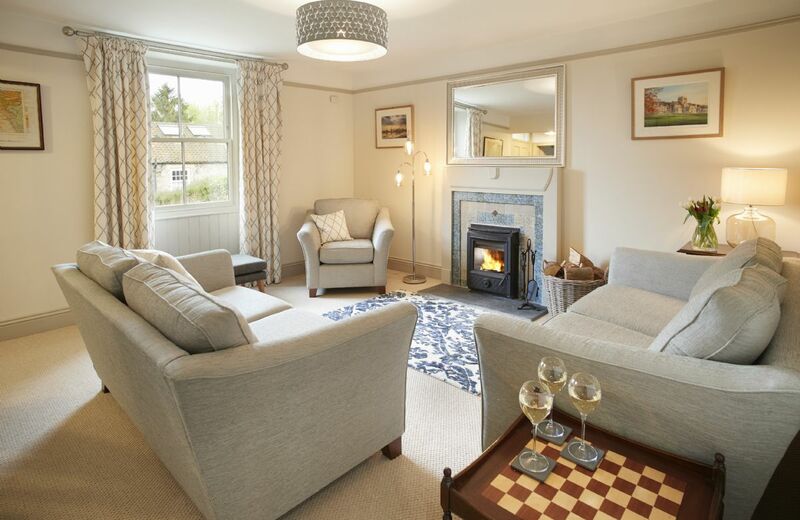 Beautifully renovated cottage in gorgeous surroundings - right next to the North Yorkshire Moors. The only criticism is a lack of crockery/cutlery (we were 5 in the party and only six plates, knives, forks, spoons etc). This meant we had to keep washing rather than using the dish washer. Another set of all crockery/cutlery would be helpful. Also kitchen utensils, pots and pans need refreshing. Beautiful location, high standard of accommodation with good equipment and thoughtful preparation such as information, lovely welcome hamper, lots of wood for the burner. The great reviews for Threp'nybit Cottage continue. Thank you so much for taking the trouble to leave yours. The cottage was very well equipped and the welcome hamper and kitchen provision was much more than we have experienced in other cottages - in some places you have to provide everything from scratch, and in others you feel as if you are eating other people's leftovers, but this was all beautifully presented. It is also a real treat to have toiletries provided. There is a generous log pile and the decoration was all very fresh. A great location if you like to be away from the crowds. Fantastic cottage, spotlessly clean and very well equipped. Amazing welcome hamper even with fresh fruit. Loved the views. The log fire was lovely too, although the radiators worked well. Our only negative would be the duvets weighed a ton and were too warm for us. Maybe that is just our personal preference, and it seems wrong to criticise when everything else was 100% perfect. Very clean good hamper and present.Unfortunately had to leave early due to illness. LovelLovely views and very peaceful. Everything thought of. 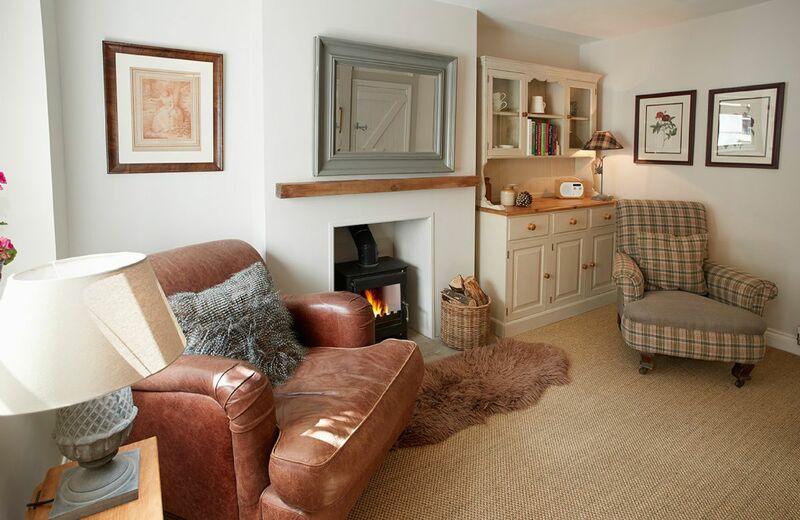 Beautiful cottage, spotlessly clean and really thoughtfully fitted out. Glorious remote setting, wonderful walks from the door and a super comfy bed. The best cottage we've stayed in for a very long time. Wonderful welcome pack cottage very comfortable with first class views.Our dog appreciated his treats and the open spaces. Helmsley a lovely town to visit also called in at Beadlam Grange farm shop where we were given a warm welcome. Called for lunch at the Moors in Appleton le Moor but unfortunately was fully booked. Overall a lovely part of the country. Thank you for your great feedback for the cottage and the surrounding area. Perfect in every way, excellent ! Lovely, quiet location with splendid views. Beautifully cared for and appointed, and very clean. A cosy wood burner in the living room with a plentiful supply of logs. Perfect. Beautiful cottage in a perfect location, very clean and provided everything you could possibly need ,the dog loved it too !!! Our whole family were very excited to see our cottage was at the top of a hill with stunning views of fields, trees and sheep all around. A lovely welcome hamper and a tray with a China tea set and biscuits, were there when we walked in. The cottage itself was warm and inviting, and very clean. We loved it and would definitely recommend. What a lovely review for Threp'nybit Cottage. Thank you so much. An original farmhouse with exposed beams and feature fireplace, lying five miles from the popular tourist hotspot of Helmsley on the edge of the North Yorkshire Moors. Lovingly restored throughout by the owners and accommodating up to five guests in three bedrooms, one of which is on the ground floor with it's own en-suite bathroom. 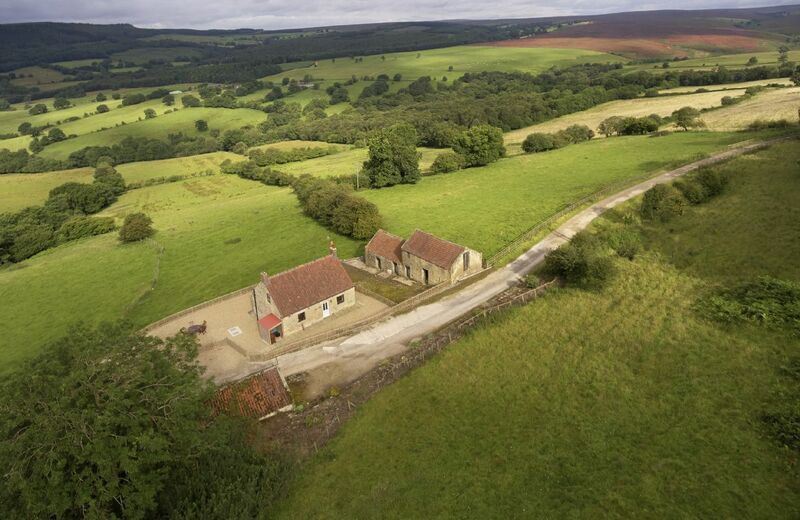 This property is located just 15 miles from the area of where the BBC film the very successful ' Yorkshire Vet' series. Wonderful place, great views, had a fabulous weekend. Fantastic location, lovely cottage, beautifully presented and very clean. A wonderful experience, immaculate accommodation and beautifully presented, we couldn't have asked for more. A very tranquil week spent with family which we would highly recommend. The place is stunning. We have a fabulous stay. We did not manage to contact Wendy to give her back the keys, so we hope we left the house to her liking. The accomodation was excellent with everything that we required in it for our stay and the welcome hamper was a very good bonus and showed how much you care about your guests. Wendy the cleaning lady was really nice and very helpful when we required setting up the television. Some small niggles, the shower in the shower room was never more than tepid. Could have done with more cutlery etc as had to wash up ( or put on a not full dish washer) too often. The directions to the house were not very clear because the signs that mark the turning down to the property have changed. The key safe was a bit awkward at first, but after that everything was fine. We had a great time in a very comfortable, beatifullly situated place. We had a lovely stay, it was comfortable, relaxing and well equipped for our needs. Views are amazing and great for walking on the cliff tops into Whitby. Dogs are welcome, which is a bonus. A lovely cosy cottage. Amazing location. We enjoyed our holiday very much as it is always a special experience to stay in a lighthouse cottage. However, we feel that the garden of the property should be securely enclosed for dogs as there is currently a passage way from the parking area to the garden which does not have a gate. Given the proximity of the cottage to very steep cliffs, this means that it is dangerous to let ones dog off the lead in the garden, which is a great pity. We also feel that there should be a sign for the cottages on the lane leading off Hawsker Lane as we got quite lost looking for it on our day of arrival. We ended up going a long way down the wrong lane which turned out to be a farm track full of pot holes without easy turning places. In fact, at one point we thought that our car was going to get stuck in the deep mud. On a minor note, one of the bulbs in the kitchen lights was not functioning and we couldn't find a bulb to replace it with. Great position, relaxing view of the sea. Good kitchen facilities. Shower room good - needs a small stool in there. Decor getting a little tired. Need a clear instruction about how to use the TV and DVD player. Thank you for your review. The kitchen and bathroom at Vanguard are currently being replaced and there will be further redecoration at the property in January. Cottage actually filthy, looked clean at first but actually filthy, quite surprised at this as brochures etc state "we need time to prepare your holiday home to prestine condition"
I loved the house - what is there not to love? 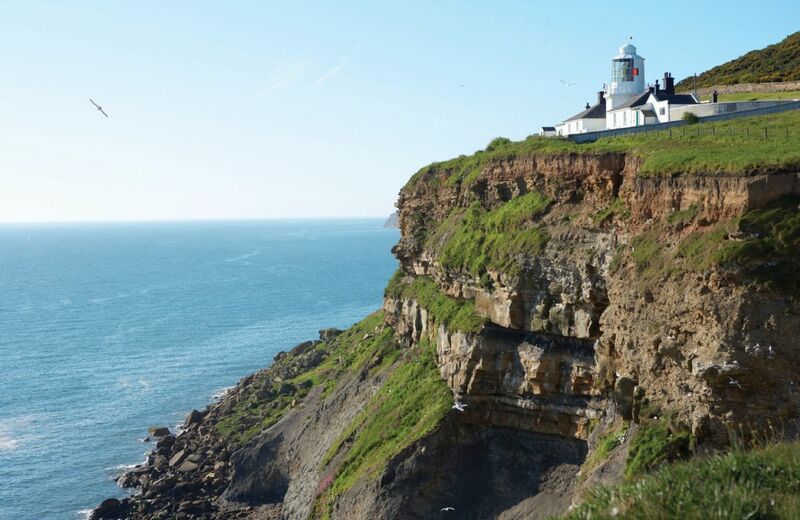 The high cliff-top position, the comfortable house, the stunning views out over the sea, the fresh air, the quiet... and a lighthouse. Everything was clean and lovely when we arrived, there was a good selection in the welcome hamper, everything worked well. I often don't want to leave when we stay at Rural Retreats properties and this was no different - I could have stayed there ... I was going to say forever and yes, I could have moved in. What a perfect review - thank you so much. We are delighted that you had a wonderful holiday at Vanguard. Wonderful location coupled with a high degree of comfort. I am so sorry that you feel that the cottage was a let down and I am investigating your complaint. Cottages and grounds were stunning. However, the garden furniture was of unacceptable standard, old and in need of repair or replacement and several of the chairs were unsafe/unusable. When you pay so much for a stunning outlook the outdoor furniture should be of a high standard. This needs rectifying urgently. Thank you for your lovely comments about Vanguard. We are extremely sorry about the outside chairs and, having spoken to Trinity, new outdoor furniture has now been approved for the site. Nice cottage, amazing location, great welcome hamper. However, tv had no satellite reception and was useless, dangerous loose patio slab and lots of broken patio chairs were disappointing given the high price. Thank you for your feedback. We are pleased that you liked the cottage and the hamper and you thought the location was amazing. I am extremely sorry about the tv reception and the broken slab and I have highlighted these issues with Trinity. The patio chairs are now being replaced and thank you for highlighting this issue for us. This attractive cottage on the Whitby Lighthouse site has sitting room, kitchen/dining room, double bedroom, twin bedroom, single bedroom, bathroom and shower room. Features include oil central heating, electric wood burner, electric hob and oven. We really enjoyed the cottage. 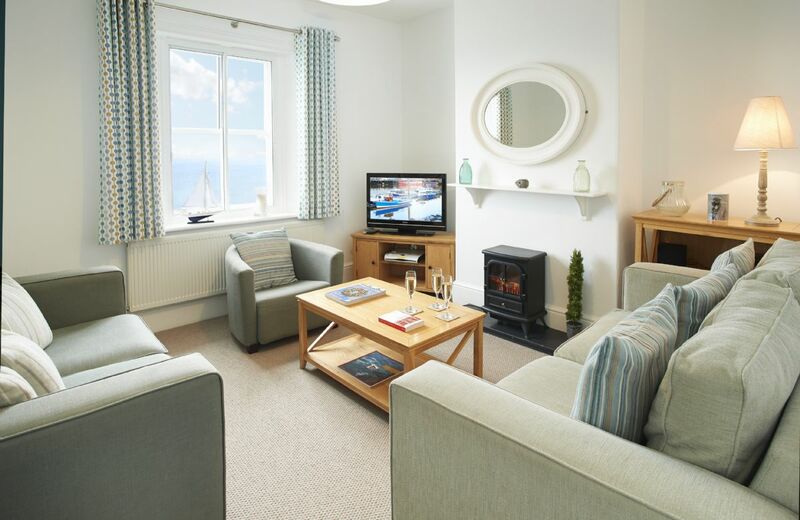 We found it comfortable and it is ideally located for walking and visiting attractions in the area. Our only comment would be that the toilet flushes were both not working properly. Otherwise everything was very good and we had a good holiday there. lovely cottage in delightful village. Shame about traffic speeding through the village above the designated 30mph limit!!! in bedrooms. As rest of week weather good - not too big a problem this time! Cottage just as described so definitely lived up to our high expectations. Welcome hamper generous and luxurious. Felt looked after, relaxed and cosy. I am leaving this review, as i have seen numerous unjustified, negative comments about this cottage. if i had read them before i went, i may not have gone - but i am so glad we did! Beautiful, well equipped cottage. with picturesque stream running past the front door. so many thoughtful extras: draw full of DVD's (including children's), shelves full of games and puzzles, books. Plenty of cups, glasses and crockery. This was a VERY warm cottage even though it was -4 on the first day. It is beautifully clean and well decorated and feels very homely due to all the pictures and flowers etc. The beds are exceptionally comfortable. the duvets are warm. the furniture is comfortable. The village pub is lovely with great food and there is also a well stocked village shop. What a wonderful review for Harwood Cottage. Thank you so much for leaving such lovely feedback. Cosy cottage,one room bit small.Very good welcome pack and John and his wife were very welcoming.A curtain across the front door is needed to stop the draft and spare blankets are needed we luckily bought our own .The downstairs shower unit needed a clean around the lower frame but the rest of the cottage was in a good condition.It had been decorated for Christmas which was very much appreciated . 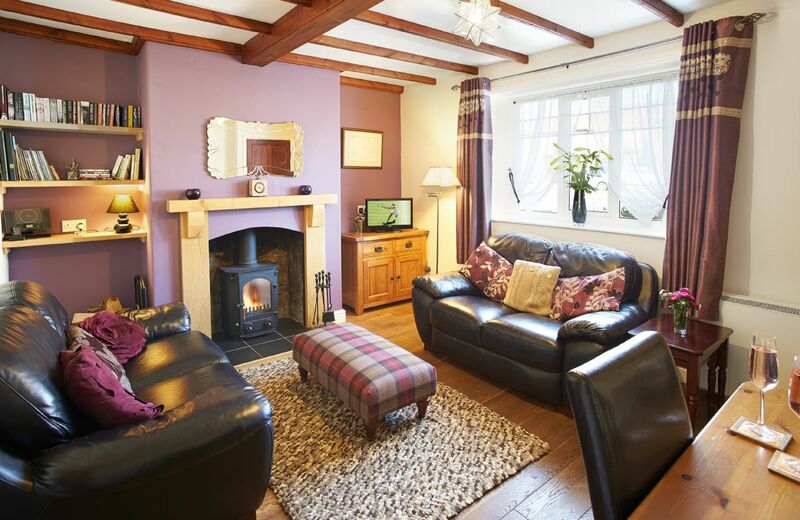 Lovely comfortable warm cottage in an ideal location. Excellent support from housekeeper. Positives - clean and comfortable, very well equipped kitchen, attractive conservatory, pretty garden. Negatives - 14.5 tog duvets far too hot, and no alternative. Thank you for your feedback for Harwood Cottage. I am pleased that you enjoyed the house and garden and I will pass your comments to the owner. Good size,comfortable cottage in pretty Village. Conservatory ideal for variable British weather - unable to sit in garden. Found chairs rather uncomfortable low & firm. The cottage was very comfortable, but the space for the storage of clothes was rather limited. I, also, feel that bedside tables should be available in each room. The best cottage that we have stayed in. roomy and well stocked cottage in a lovely location. Delightful garden with plenty of opportunities to relax. caretakers on site ( next door ) were very helpful but not intrusive. General standard of cottage decor more or less up to RR norms although starting to need some redecoration. Beds not as comfortable as they could be. Large conservatory at back was lovely to dine in but is plagued by insects. Beautiful cottage and a good location for getting around the beautiful countryside. We particularly enjoyed using the conservatory and also sitting in the garden. We would definitely use it again. Just a small comment that I noticed a slight musty smell in the lounge that I think came from the sofas which may need a clean.Other than that it was lovely! Beautiful house, fantastic location. In a very pretty village close to castle Howard. Very well equipped and clean with plenty of outside space and 3 reception rooms plus parking. Generous hamper to welcome guests. What a great review of Harwood Cottage. Thank you so much. Lovely cottage, lovely village -we particularly enjoyed the local bakery. As above - fantastic cottage, lovely location. A gorgeous cottage, well presented. The only thing i wound say is there wasn't enough little extras left eg kitchen roll ran out, there were only three dishwasher tablets, three washing liquid tablets etc. After staying in many coastal retreats in the north east Rural retreats doesn't quite match up to their standards. Nearly but not quite. We were delighted with every aspect of the short holiday and found everything at Harwood Cottage to be first class. Brilliant. Absolutely loved the cottage. 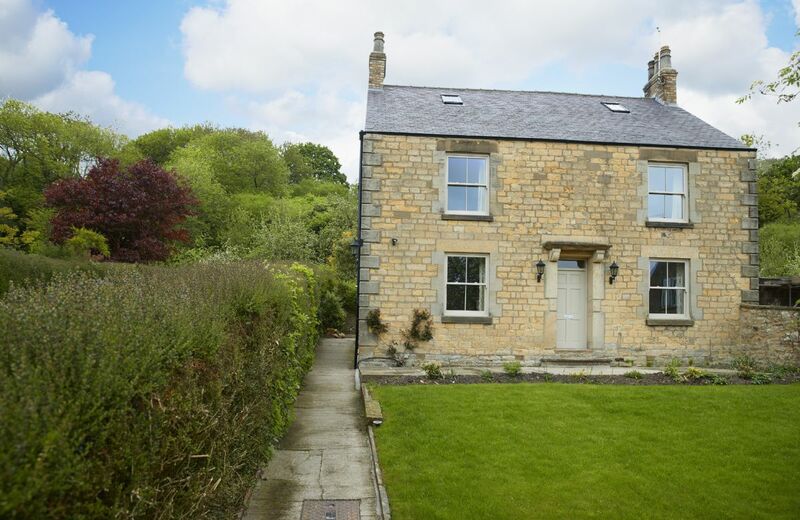 This recently renovated stone property dates back over 200 years in the stunning village of Hovingham on the edge of the Howardian Hills. It is only 17 miles from the city of York and the North York Moors are within easy reach. This 18th century stone Farmhouse with its own private enclosed garden is situated in the Castle Howard Estate village of Coneysthorpe. Perfectly placed in rural North Yorkshire; the North York Moors National Park, Yorkshire Coast and medieval city of York are all easily accessible. Stunning location, property in pristine condition, and probably the best outfitted rental property we’ve ever had — games and toys for all ages, a great kitchen, and on and on! 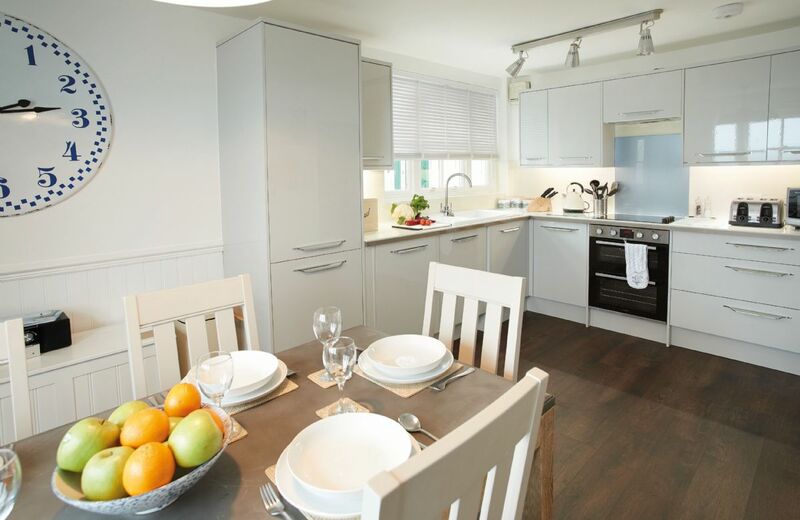 East Lodge had everything - spacious accommodation, fully equipped, high quality finish throughout and spotlessly clean. Joan and David were extremely welcoming owners. The best holiday rental our family has ever booked - highly recommended! Everything was excellent. We enjoyed all the living space, which was more than ample for eight people. It did get a bit warm with the Aga cooker working all the time but on the other hand it was also good that there was no waiting time for it to warm up. Even the weather was good for our visit. Excellent location. Very good facilities. Perfect. Beautiful views. Very high quality finish to all the fittings. Wonderful trip. Well stocked home, friendly owners, had a fantastic time! Everything was perfect and we just wanted to stay longer. The house was so comfortable and well equipped, we felt at home as soon as we arrived. A fabulous retreat! The lodge had been beautifully and thoughtfully restored to every last detail and was very cozy. We had the most amazing week st East Lodge, the location was stunning and the property was absolutely beautiful. It had everything you could possibly ever need for a week away (and then more!) and was spotlessly clean. The owners were friendly and accommodating and I would 100% both recommend and stay again! Beautiful accommodation, very well equipped. The views from the windows were beautiful and the owners very welcome. Brill can’t wait to return. Lovely place to stay. 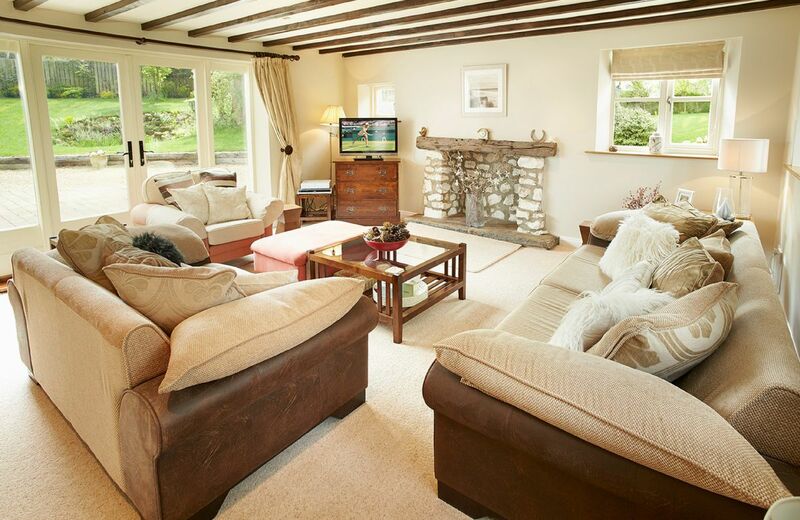 Beautiful property set in idyllic surroundings with very friendly, accommodating owners. All contributed to a wonderful weekend with the only regret being that we didn't stay longer. 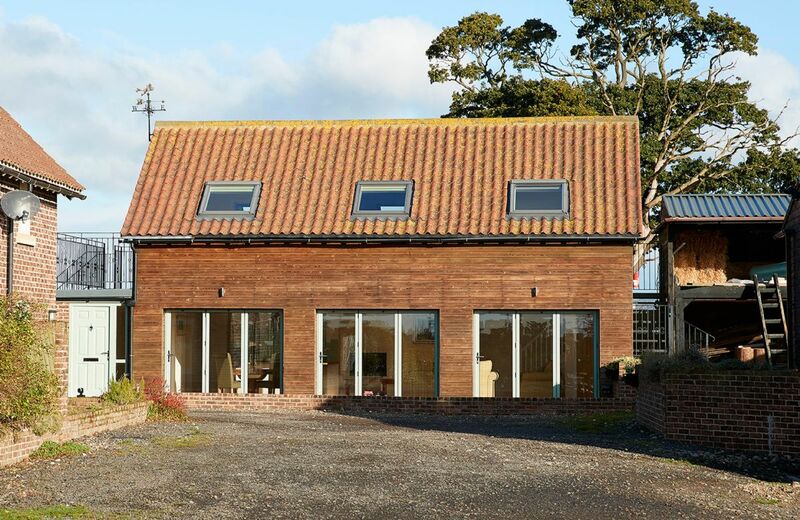 It was the attention to detail that made this Barn a super special place to stay. 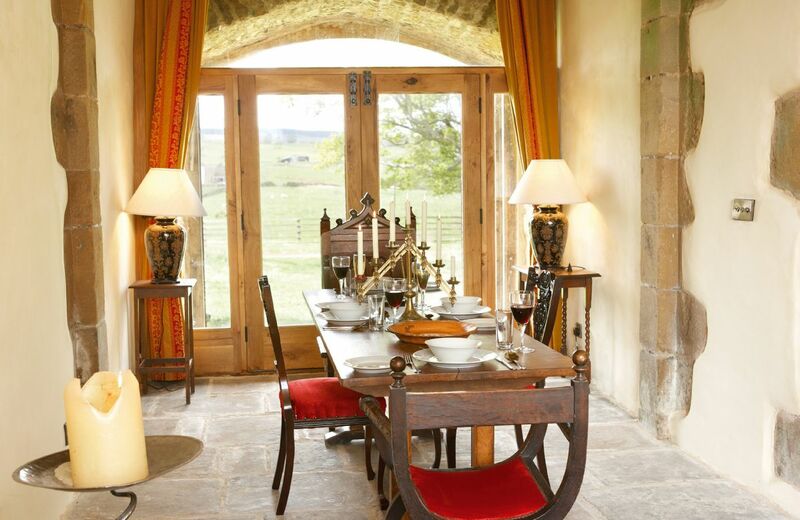 Wonderful space and light, plenty of cutlery and crockery, amazing views. I would say it’s home from home, but this was better! Amazing hostess who really did cater for our needs. Absolutely fantastic. East Lodge is an excellent Rural Retreat. This cottage has everything needed to make your stay comfortable and is situated in a beautiful part of the world. There is an enormous amount to do on the doorstep and East Lodge itself is very easily accessible. It is a credit to the extremely high standards of Mrs Ford and her team. Thank you them for their hospitality and generous welcome pack. Wow, what fantastic feedback for our special property East Lodge. Thank you for taking the trouble to leave your thoughts. Nothing to fault at East Lodge. Great location and views. House was very well equipped and excellent welcome pack. Fabulous property, beautiful location, spacious, spotlessly clean and the owners couldn't have been more helpful. Very highly recommended! Once again a wonderful review for lovely East Lodge. Thank you so much. This property was beautifully presented and very well equipped. There were thoughtful touches such as magazines and the kitchen was particularly well equipped. It was one of the best RR properties we have stayed in. 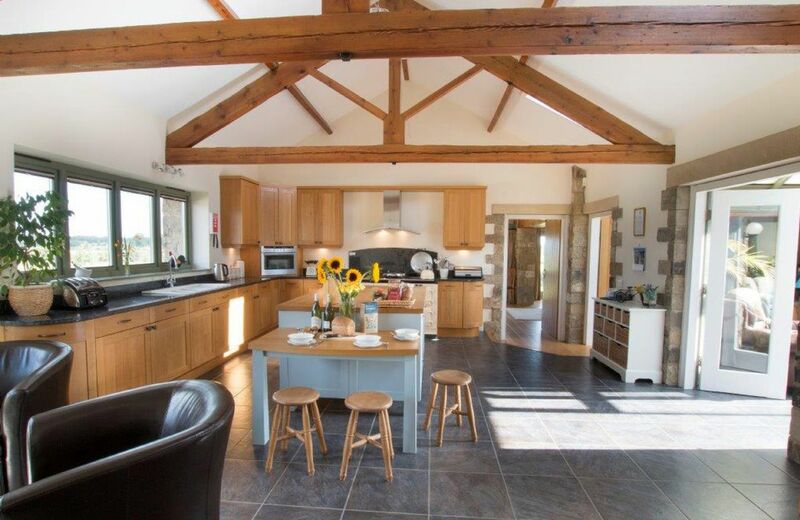 This delightful, single storey barn conversion with original beams and features, sits in 30 acres of grass and woodland at Diamond Hill Farm in Lower Wensleydale. 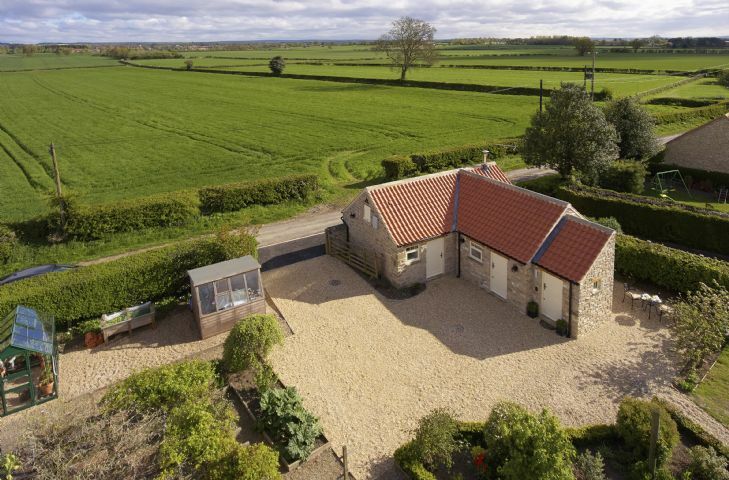 Slightly elevated, it offers stunning views towards the Hambleton Hills. 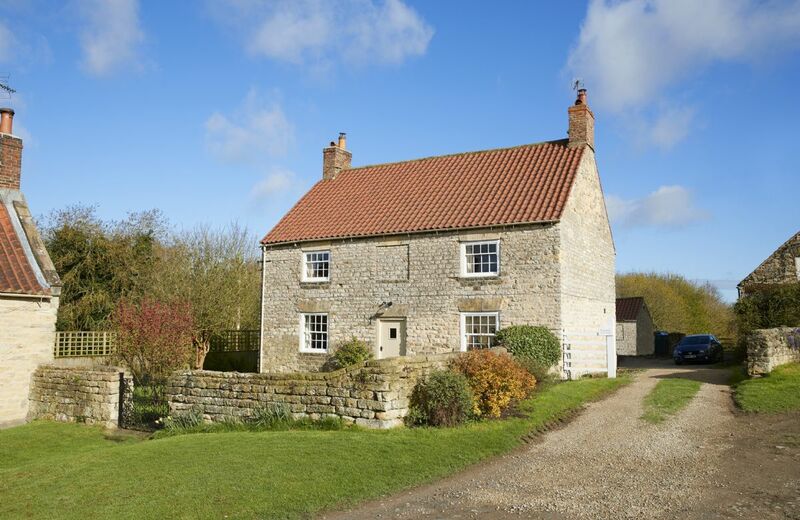 This charming Grade II listed Yorkshire long house dates from 1709 and is located in its own grounds. 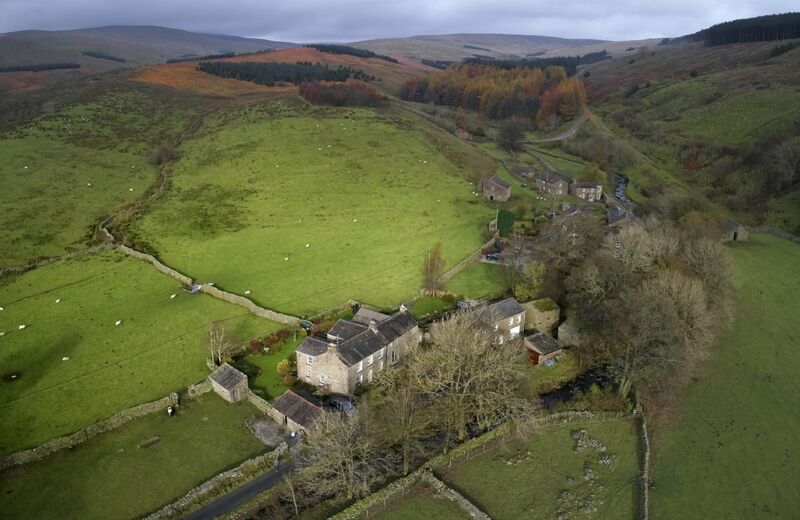 It is situated in the tranquil hamlet of Masongill, just within the western boundary of the Yorkshire Dales National Park. For holidays taken between 12 February 2019 And 30 April 2019 Minimum of 3 nights booking. Prospect House is a handsome, three storey family home with wonderful views of the so-called Gilling Gap from the first floor. 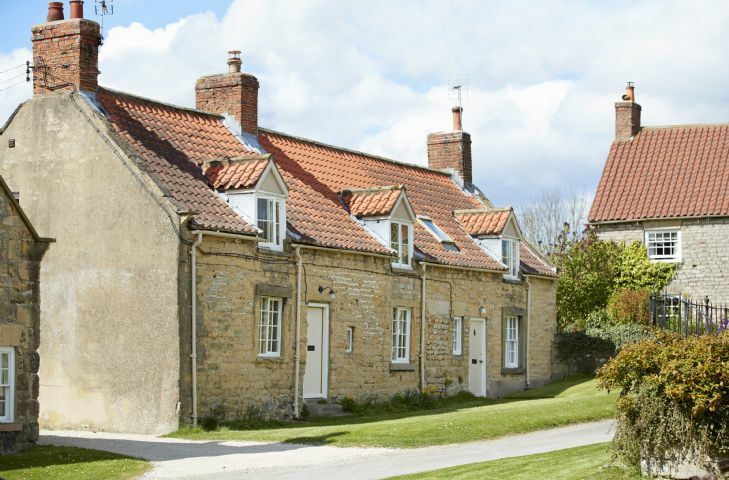 Ampleforth is positioned on the edge of the North Yorks Moors, offering a perfect location from which to explore the beautiful countryside and coast of North Yorkshire.